Desirable Rolling Hills Estate home in meticulously maintained and upgraded condition. Classic style with a fabulous floor plan for formal entertaining & causal day to day living! Impressive entry open to stunning Living & Dining rooms which lead to an office/study/den or playroom. Oversized chefs kitchen features granite counters, stainless appliances, plenty of cabinets, double wall oven (convection), center island, a desk/command central and open to large eat in area and large but cozy family room with fireplace and a wall of built ins. 2nd floor boasts gigantic master suite with sitting room, 2 way fire place, spa-like bathroom and ample walk in closet. Also there is a "princess (or prince) suite" with walk in closet, and 2 other bedrooms (one is huge), an adorable well appointed hall bathroom and a 2nd floor loft/upstairs den area, also a rear set of steps. 3 car garage with extra high overhead doors. Basketball Set can stay! Outdoor shower and Large fenced yard on a 3 acre parcel! 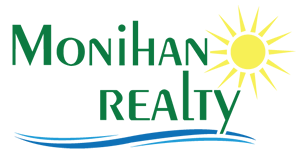 Listing Courtesy of MONIHAN REALTY. © South Jersey Shore Regional MLS. All rights reserved. The data relating to real estate for sale on this web site comes in part from the Broker Reciprocity Program of the South Jersey Shore Regional MLS. 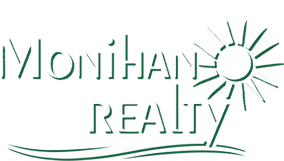 Real Estate listings held by brokerage firms other than Monihan Realty are marked with the Broker Reciprocity logo (a little black house) and detailed information about them includes the name of the listing brokers. Information is deemed reliable but is not guaranteed. The broker providing these listings to be correct, but advises interested parties to confirm them before relying on them in a purchase decision. The information being provided is for the consumer's personal, non-commercial use and may not be used for any purpose other than to identify prospective properties in which they may be interested in purchasing.